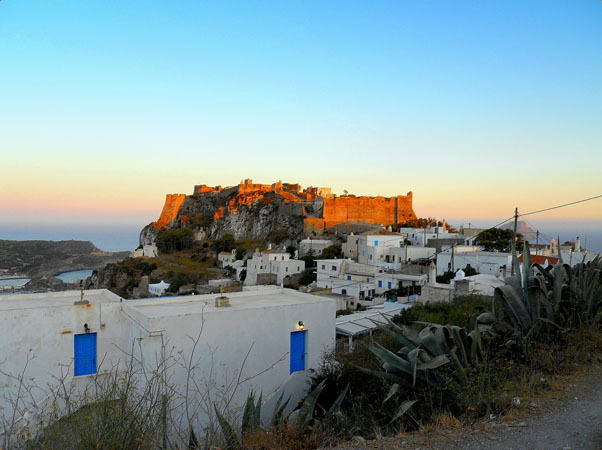 White houses perched upon the hill, within view of the ruins of the castle, which stands on the edge the cliff, overlooking the seas that surround the island. 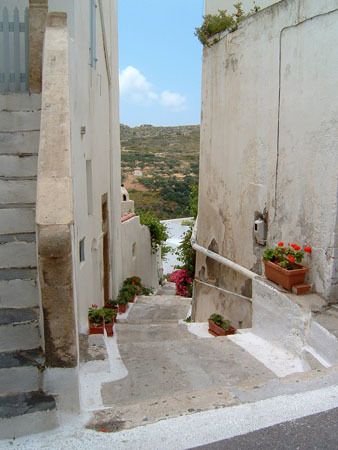 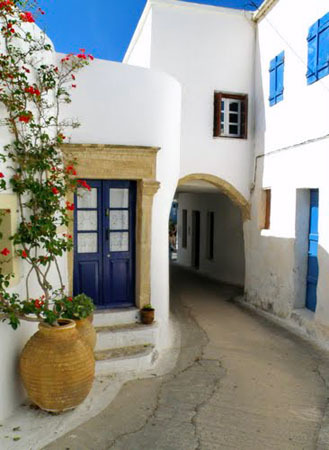 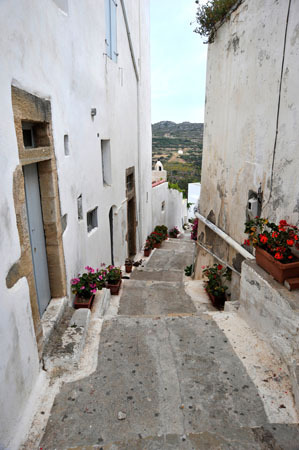 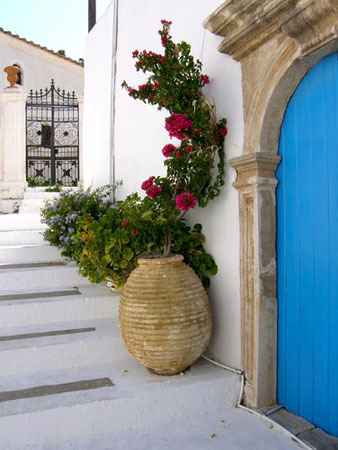 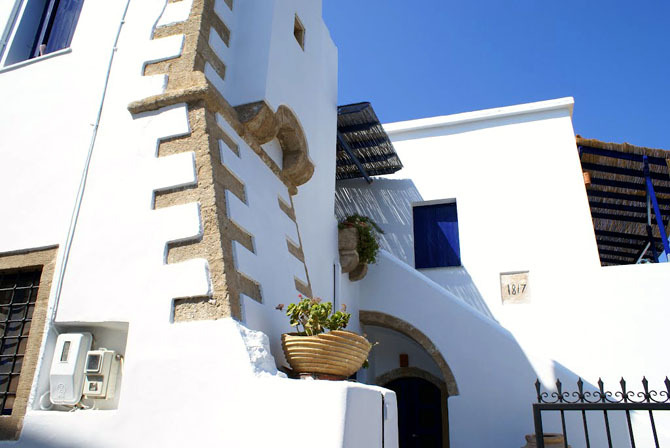 Although it is the island’s capital, it is relatively quiet. 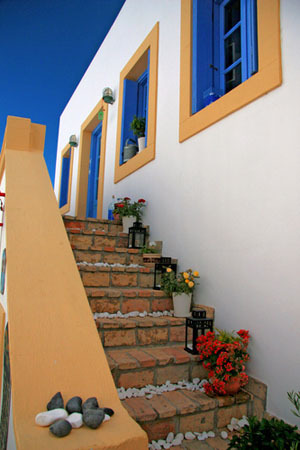 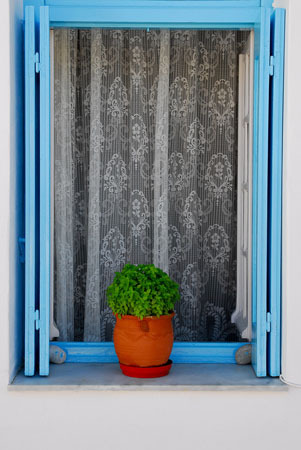 A few cafes and shops are adorned with small bouquets of the yellowish sempervivum, the emblematic flower of Kythira. 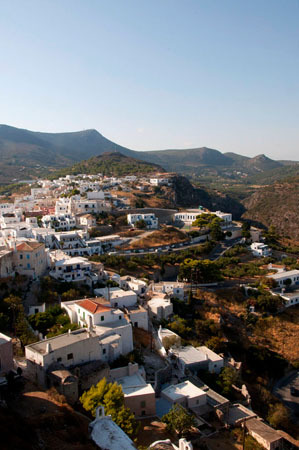 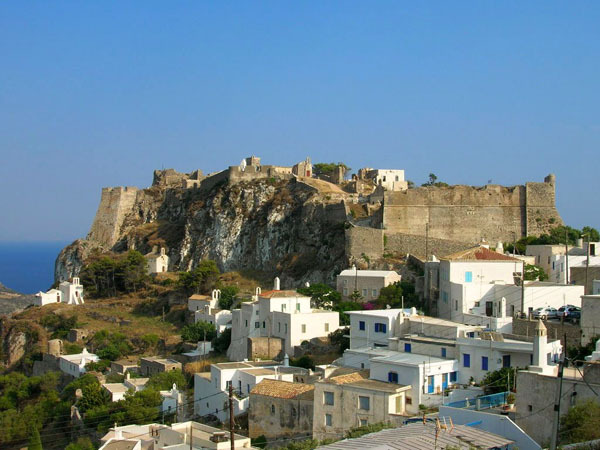 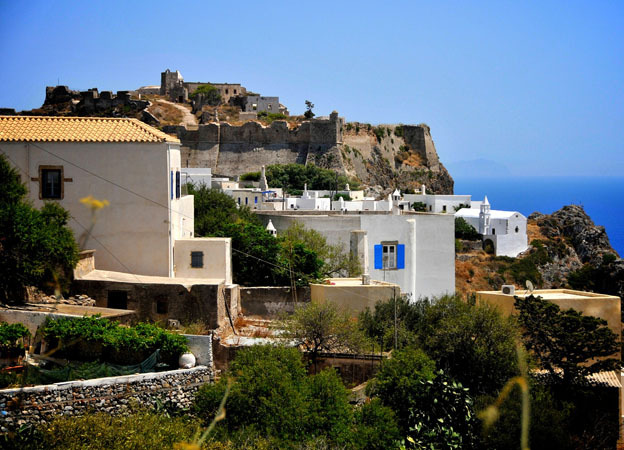 Apart from the castle, its main attractions are the tranquil view overlooking the seaport Kapsali, and the islet Hytra, located just beneath, both excellent choices for a swim if you are staying in Chora.